GRAFENWOEHR, Germany — In the 19th century, a woman caused a sensation in the kingdom of Bavaria and, along with a man from Vilseck, played a significant role in the revolution that ended the king’s reign. 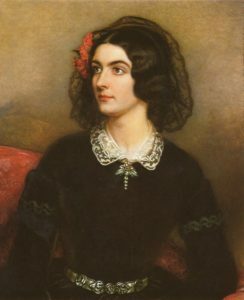 Lola Montez, as she called herself, was a dancer, the mistress of Bavarian King Ludwig I, and an impostor. Born in 1821 in Ireland as Elizabeth Rosanna Gilbert, she pretended to be from Spain and performed as a dancer under the false name Maria de los Dolores Porrys y Montez, or Lola Montez for short. Lola traveled through Europe with her show and caused many scandals with her affairs before she arrived in Munich on October 5, 1846. Three days later she was granted an audience by King Ludwig I and performed her dances in the court theater. She captivated the 60-year-old king and became his mistress. He fell for her so much so that he changed his testament in her favor and bought a mansion for her in Munich where the two of them would meet regularly. The relationship became public quickly and was widely frowned upon by the Bavarian citizens, just like her behavior that was unheard of for a woman of that time. Lola moved through Munich smoking cigars and did not avoid any dispute. When the king wanted to grant her Bavarian citizenship and the Minister-President refused to oblige, the king removed him from his office. The whole cabinet then stepped down and a new one had to be built. 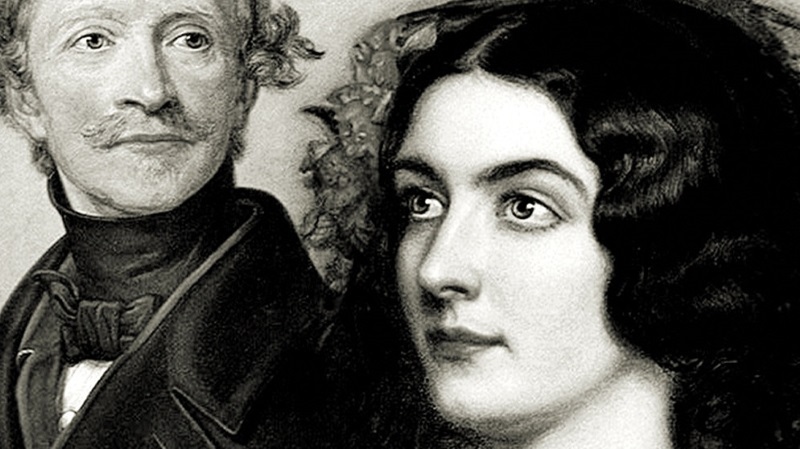 Even so, King Ludwig I ennobled Lola and gave her the title Countess Marie von Landsfeld after which Lola began to increasingly influence the politics of the Bavarian kingdom. She prompted the ministry to adopt a course against the pope, which was met with resistance. Again, the ministry was disbanded and one of Lola’s friends was appointed to the office. Lola had a guard of fraternity students whose head was Elias Peißner, a 22-year-old law student from Vilseck. The members of his honor guard “Alemannia” were scornfully called the “Lolamannen” by the Bavarians. Elias fell for Lola as well and became the king’s rival in love. In February 1848, things escalated when Lola visited the university. Students brawled with her guards and an outraged crowd of people tried to get to her. Lola had to be rescued by the police. King Ludwig I was furious about the incident and ordered the university to close and throw all students out of Munich within three days. The citizens of Munich did not take kindly to that. On February 10, 1848, they rioted in front of the king’s residence. Ludwig I had to revoke his order and was forced to expel Lola from Bavaria. This did not save him his throne, however. 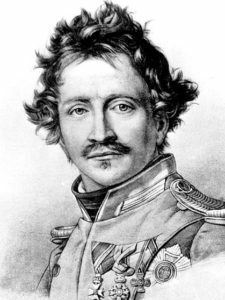 In the March revolution of 1848, when demonstrators demanded a democratic constitution and the immediate arrest of Lola should she ever enter Bavaria again, Ludwig I resigned. After leaving Munich, Lola fled to Switzerland. The route she took to get there is known, except for one week for which there are no records of her whereabouts. Legend has it that in this time, Elias brought Lola to his home in Vilseck. According to oral tradition, she lived in his parents’ house in the marketplace for a few days. To this day, a travel dress that allegedly belonged to her can be seen in the Türmermuseum in Vilseck. But Lola left Elias after all. She first went to Switzerland and then migrated to the U.S. in 1851 where she died in January 1860. Her grave is located in the Green-Wood Cemetery in Brooklyn. Shortly after Lola left Bavaria, Elias moved to America as well. 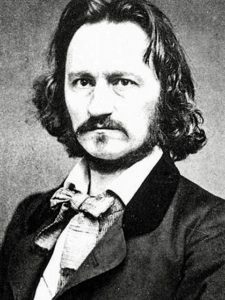 He became a college professor in Schenectady, New York, and led a regiment of Union troops in the American Civil War. He died in the battle of Chancellorsville in 1863. A street is named after Elias Peißner in the city of Vilseck today. For the first time, Vilseck also hosts a festival in the honor of Elias and Lola this year with theater performances and an art exhibition in the Burg Dagestein. For more information about the festival, please visit www.vilsecktheater.de.